I was provided a meal at no charge in exchange for sharing this post about the Fogo de Chao menu. All opinions are my own. 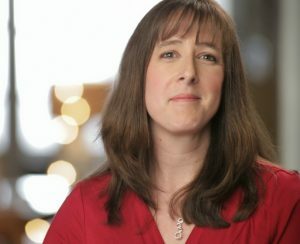 When my husband and I moved to the Atlanta area 15 years ago, one of the things we fell in love with was the wide variety of restaurants and food experiences to choose from. From Cajun cuisine to delicious Thai food, I have come to love many different flavors in my food. One place my husband and I have been wanting to try for years is Fogo de Chao and I am so excited to have finally gotten the chance this past weekend. 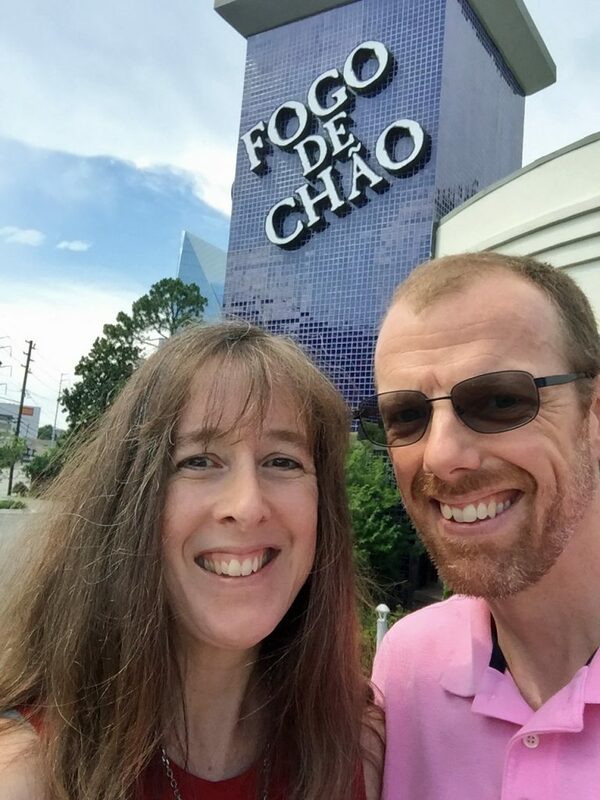 I thought I would share our absolute delight with the Fogo de Chao menu and encourage you to try out this fabulous Brazilian cuisine for yourself! If you aren’t familiar with Fogo de Chão, it is basically a Brazilian steakhouse. However, they serve SO much more than steak! Fogo de Chão is really a dining experience and not just a meal. 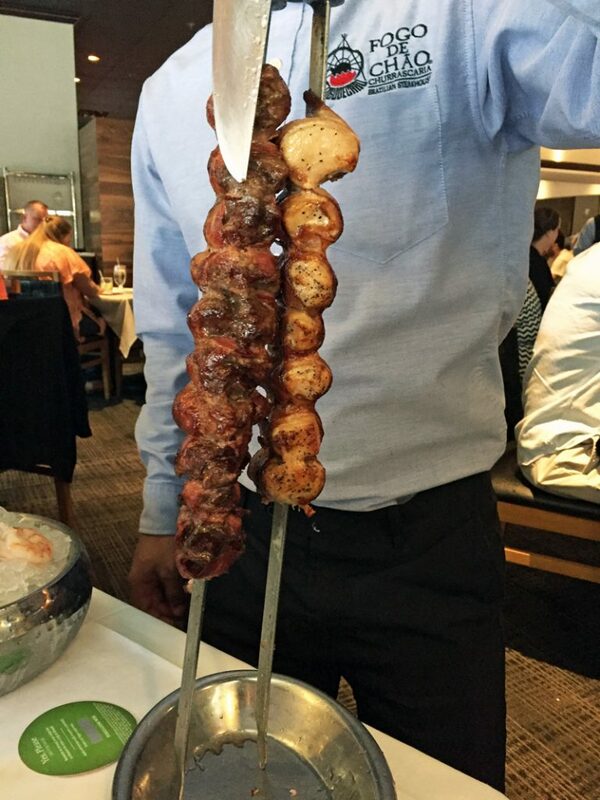 Fogo de Chão specializes in the centuries-old Southern Brazilian cooking technique of churrasco – the art of roasting high-quality cuts of meats over open flame, all of which are carved tableside by Brazilian-trained gaucho chefs. And there are so many different types of meat available! I tried everything from beef sirloin and filet to lamb, chicken, and pork. They were all incredibly flavorful and so tender they practically melt in your mouth! Keep your table card on GREEN when you want the servers to bring you a meat to try. Turn it to RED when you are eating or taking a break and they will pass by your table. This is an all you can experience type of service and you will NOT leave hungry! And if seafood is more your speed, that is available on the Fogo de Chão menu as well! 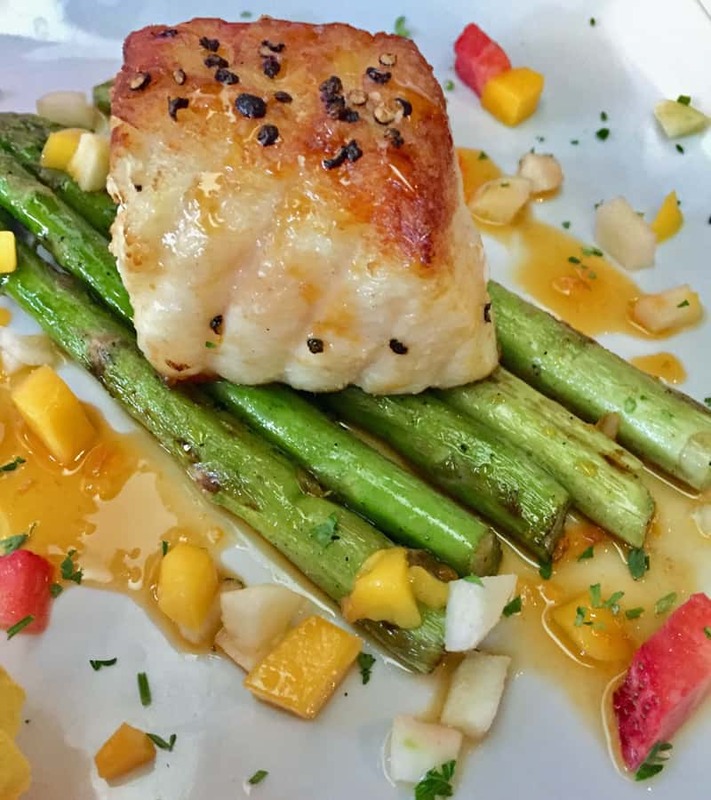 My husband enjoyed a mouth watering Chilean sea bass with mango relish and malagueta pepper sauce atop delicious asparagus spears. The Market Table at Fogo de Chão is so much more than your average ‘salad bar’! This is honestly a meal in itself. 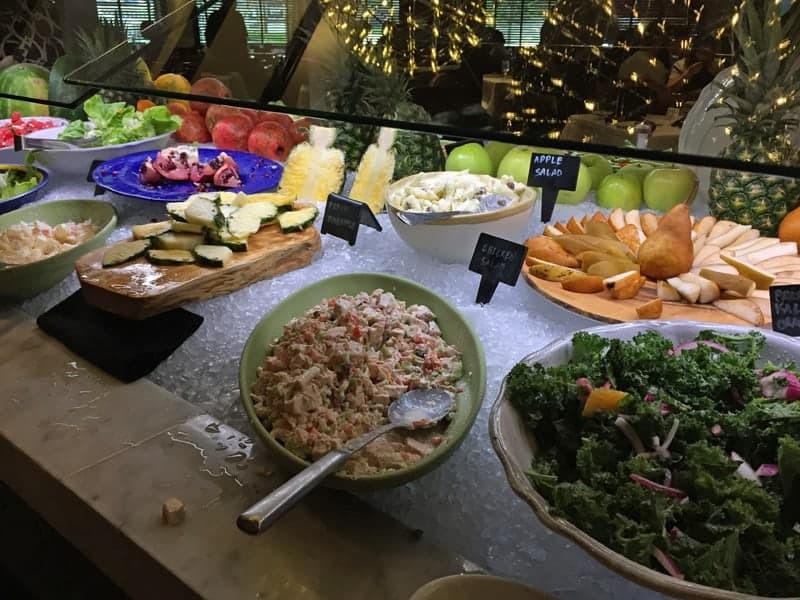 The Market Table is a colorful array of fresh and flavorful ingredients inspired by Brazilian farmlands and recipes. These are staples of Southern Brazilian cuisine and change seasonally, based on what is currently in season and readily available. Heirloom Tomato & Mozzarella – Ripe red and yellow heirloom tomatoes are layered with fresh Buffalo mozzarella and topped with extra virgin olive oil, cracked black pepper and basil. Chickpea Salad – This protein-rich salad features chickpeas mixed with summer basil, fresh parsley, red onion, and red bell pepper, then is dressed with a house-made lemon Dijon vinaigrette. Watermelon Feta Salad – Refreshing watermelon is tossed with feta, summer basil, fresh mint and cracked black pepper making this the perfect summertime salad. So, because the seasonal Market Table and meat carved tableside are not enough food, you have a few family style side dishes to share. 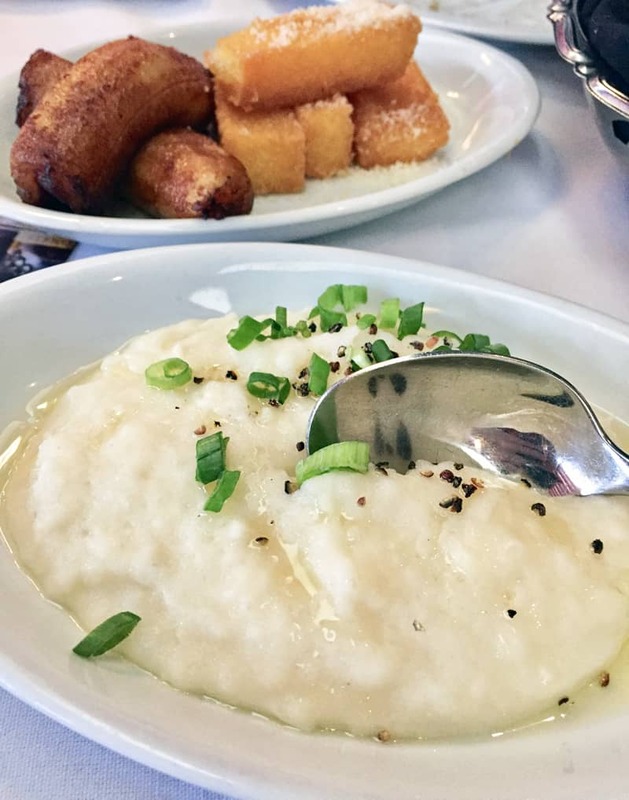 Their garlic mashed potatoes are creamy and flavorful, the polenta is absolutely to die for and the caramelized bananas add just the right amount of sweetness to balance the saltiness of the rest of your meal. You are also given something called Pao de Queijo which are warm, soft cheesy bread rolls that are heavenly. Made with sweet and sour yuca flour and Parmesan cheese, these rolls are naturally gluten-free. I seriously could have eaten the entire basket! Don’t Miss the Cocktails and Mocktails! 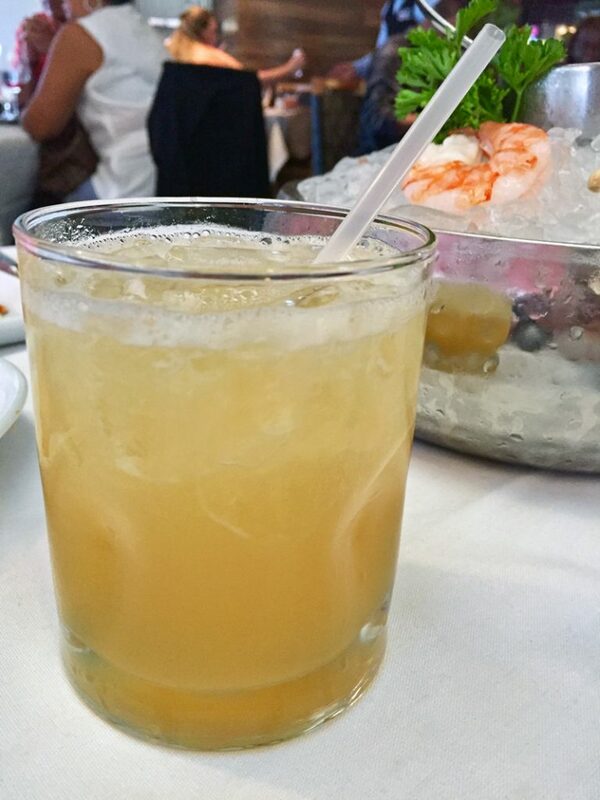 Of course, no dinner is complete without a beverage or two, right? 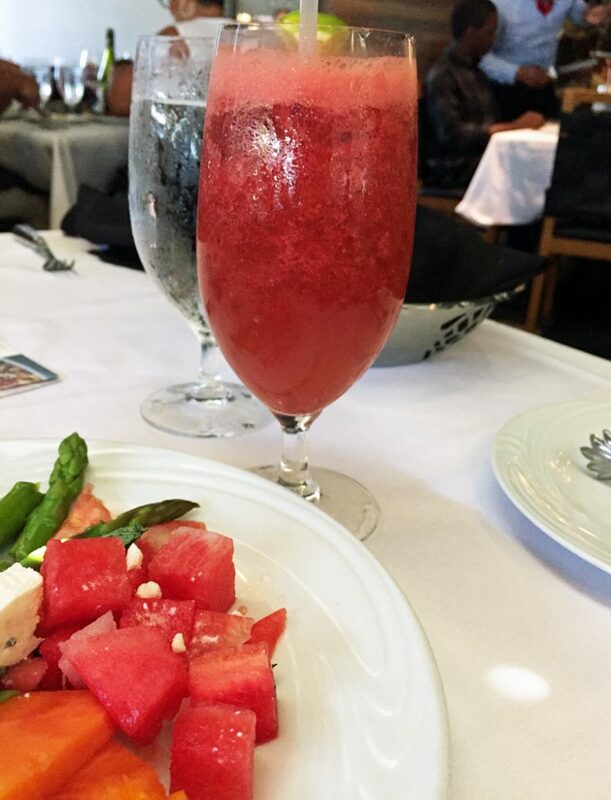 I tried the seasonal Watermelon Fresca Mocktail which features fresh watermelon blended with pure cane sugar, lime and mint. It is served over crushed ice and is incredibly refreshing. My husband chose the Smoke and Honey cocktail which is made up of Monkey Shoulder Whisky, gingered honey, and a peaty Glenmorangie Scotch. It was delicious, with the Scotch being the predominant flavor and just a touch of the fiery ginger coming through. Two Thumbs Up for the Fogo de Chao Menu! Want a dining experience and not just a ‘meal’? Definitely Try Fogo de Chão! The food and service were fabulous and I was truly astounded by the array of flavors to choose from. There is also an entire section on the Fogo de Chão website about the health benefits of the Brazilian diet. It was really fascinating to learn more about the foods and recipes that make up this amazing style of cooking! Check out their website for Fogo de Chao locations near you. And if you want unique things to do in Atlanta, this should definitely be on your itinerary! 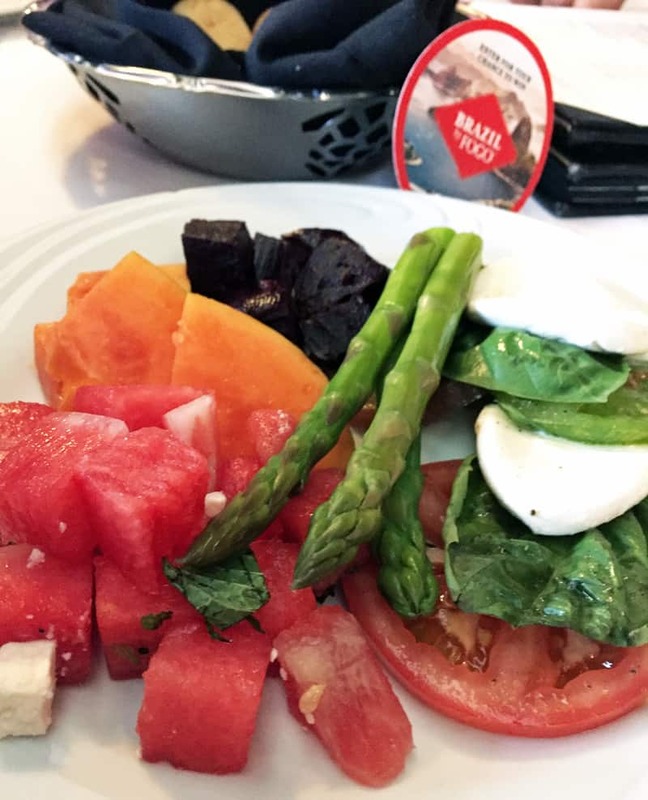 Will you be checking out the Fogo de Chao menu this summer?